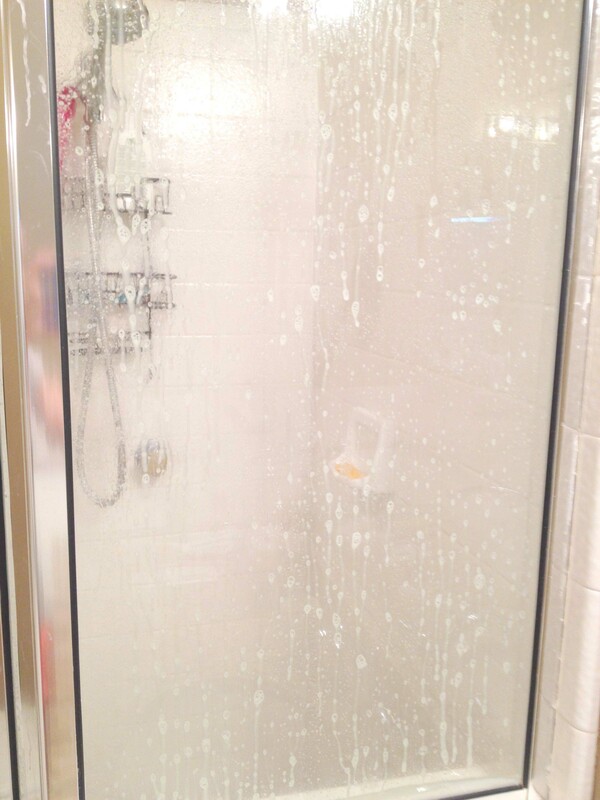 AMAZING shower/bath soap scum remover | mrs. and the misc. Trying this! A friend and I were just talking about all the random cleaners we’ve tried and nothing works! Hoping this is the one!! Thanks for posting! Why does the vinegar have to be hot? I’m wondering because if I make “too much” can I use it later? 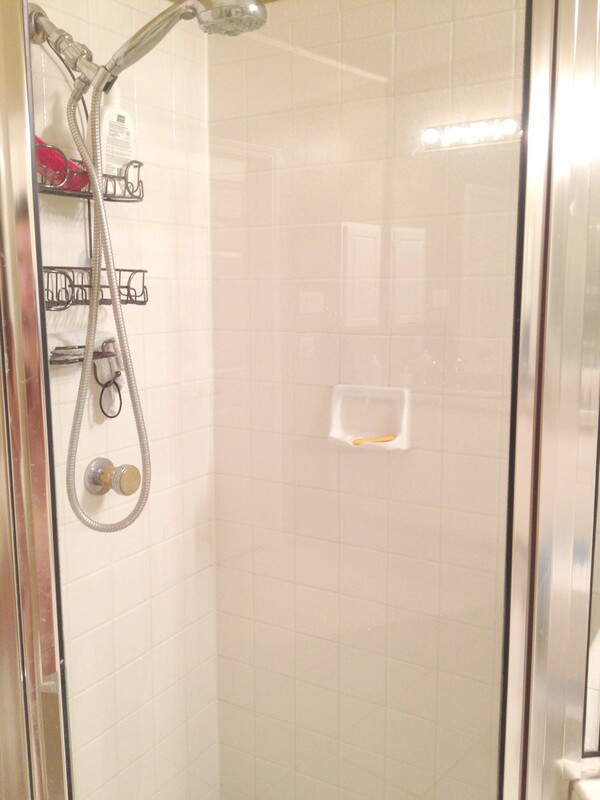 Never mind I used almost all…but, conclusion….the dawn really sticks to the shower curtain and the tub. I think it glues the vinegar to the surface. Will be interesting later in the day how it rinses…..I’m imagining a very SLIPPERY surface, but if it will make my clear shower curtain clear again, I’ll be happy. 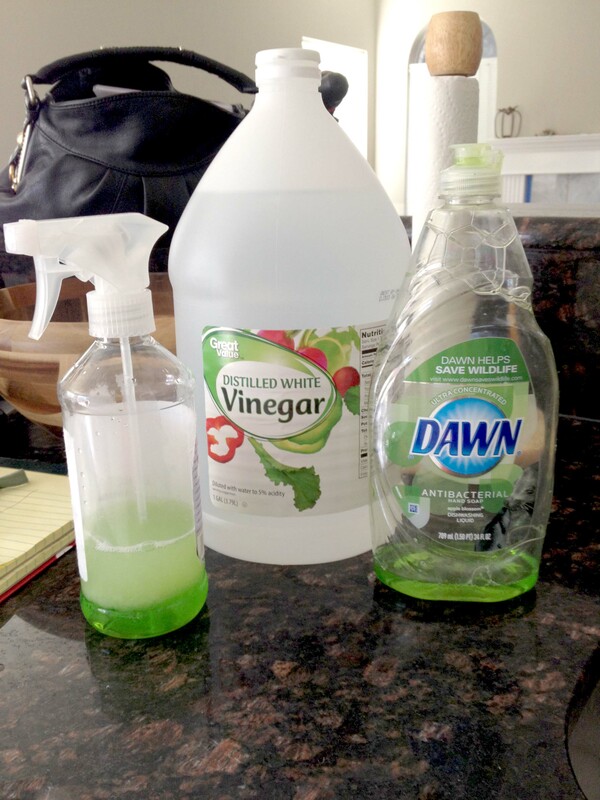 I believe the heated vinegar aids in creating a type of “foam” solution for the spray. You should. You can also use it to clean stovetops, shower tiles, among other things! My stove and oven need it bad! I gave it a try yesterday. 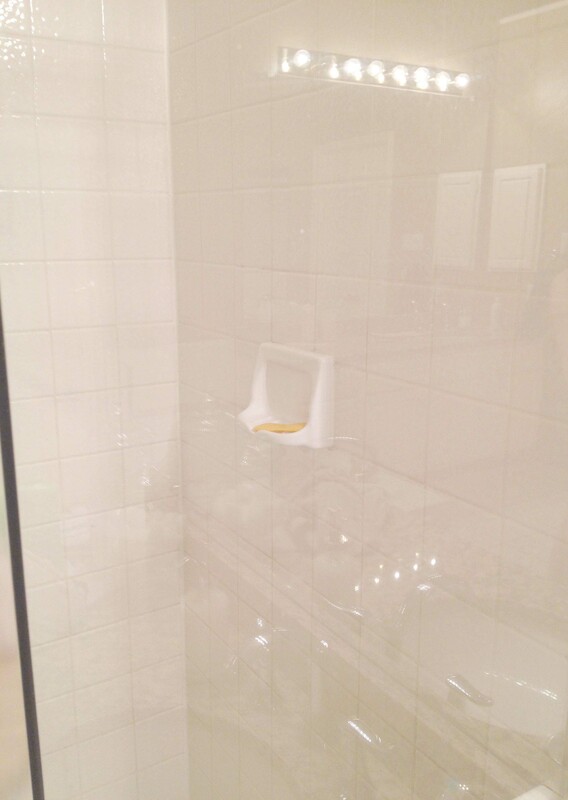 We have 2 clear vinyl shower curtains around our claw foot bathtub. (The better to see the pretty tile with I think). Usually we leave them ‘closed’ while they dry following a shower; but once dry; open and push back to one end. I have a pair I swap out every month or so and usually wash the one I take down in the front loader with laundry soap and vinegar, but the hard water marks never go away. They looked like frosted windows before I started. I mixed up this solution yesterday; sprayed it on and went out to work in my sewing room. Later in the afternoon, I came back in, and used the shower sprayer to rinse everything down. You really can’t do much scrubbing on a shower curtain. I think it really took a lot of the hard water marks off the curtains. I would definately do it again; and it would be much easier than taking them up and down for washing in the machine. Perhaps after a couple of times, they will be totally clear again. I used the original BLUE Dawn with my vinegar. It really clung to the curtain and around the tub where I also sprayed it. GREAT TIP….thanks. AWESOME! Got hubby to try this for me yesterday, and I am embarrassed to say that I thought the shower door in our new/old house was frosted glass!! Made all the tiles feel so squeaked clean, and now all the natural light reflects through! Thanks for the tip!! I love the pass/fail posts! haha, Catherine you made me laugh. Those must have been some extreme “frosted-hard water” marks on your shower door :). Glad to hear it was a success and thank you for reading the post and trying! 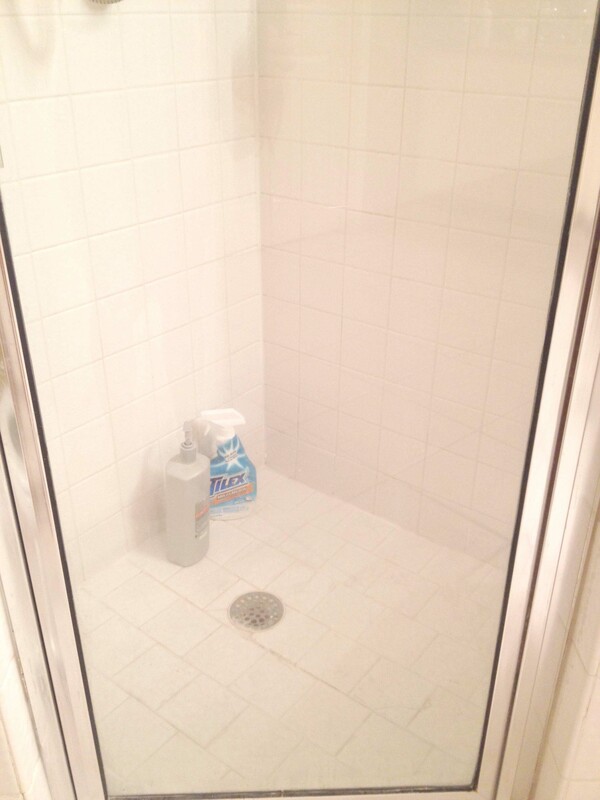 This is great for a shower deep clean. If you want a daily shower spray, I made one a few months back and posted on it. It’s pretty much the same, but you add some water and a little tea tree oil. It’s great for a quick daily cleanser. Glad to see others posting on more natural cleaning products! Thanks for sharing it! I just tried it. Worked good but not any better than any foam bath room cleaners I’ve used before except it does not leave water spots. Only difference I can tell now. DAWN IS A DISH SOAP? CAN I USE ANOTHER DETERGENT? LIKE FAIRY? This works great to remove soap scum and clean my tile but any suggestions how to get the tile to still look clean after it’s dry. I have dark tile and it looks to still have a light film on it. Thanks!! Shonna, I have white tile and I do spray the mixture all over, and after about five minutes I use a scrubber (with bristles). I can’t say that I notice a film (since it’s white), but I do think scrubbing the tile verses just spraying the glass helps. Let me know- I’d be curious to hear what works for you!